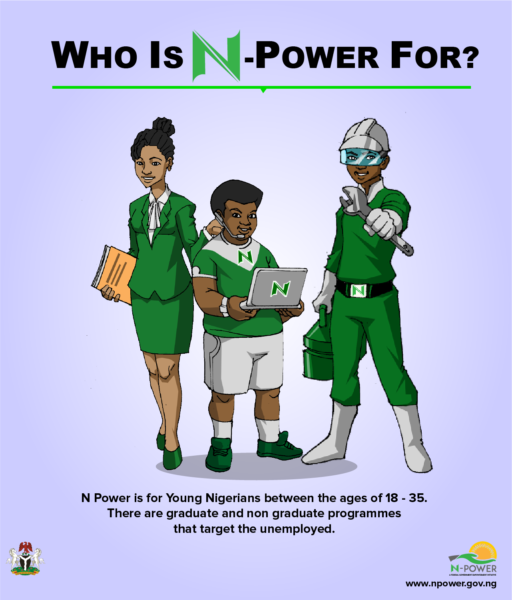 Apply now for Federal Government Jobs.The Federal Government of Nigeria has designed the N-Power Programme to drastically reduce youth unemployment. N-Power is also linked to the Federal Government’s policies in the economic, employment and social development arenas. The modular programmes under N-Power will ensure that each participant will learn and practice most of what is necessary to find or create work. Some of these graduates will also help in actualising Nigeria’s economic and strategic aspirations of achieving food security and self-sufficiency.